Next story in Pet health Crazy pet stunts: Simply stupid or death wish? 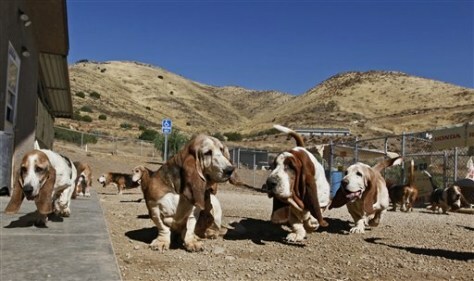 Basset hounds get in their morning exercise at Daphneyland, a basset hound rescue in Acton, Calif. Donations at Daphneyland, the nation's largest basset rescue, are down 40 percent.